We are a family owned company established in 1996. When you call us you will be speaking with the owner, not a hired sales person. 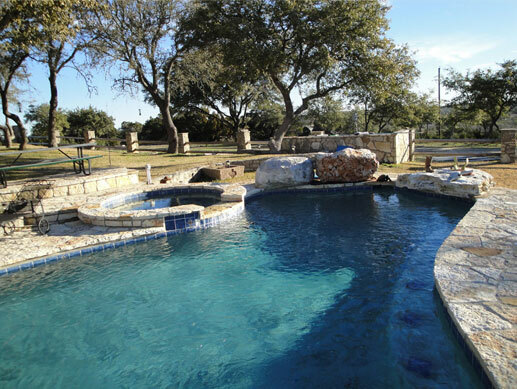 We Specialize in building in the hill country, mostly rural, difficult terrain projects. We do, however, build many pools in the neighborhoods. Our reputation is what we are most proud of, as our son will someday be the owner of our company which we have worked so hard to maintain honesty, integrity and quality in our work. Serving Hays County, Blanco County, Johnson City and Southwest Austin. Copyright © 2010 CanyonPoolsandSpas. All rights reserved.